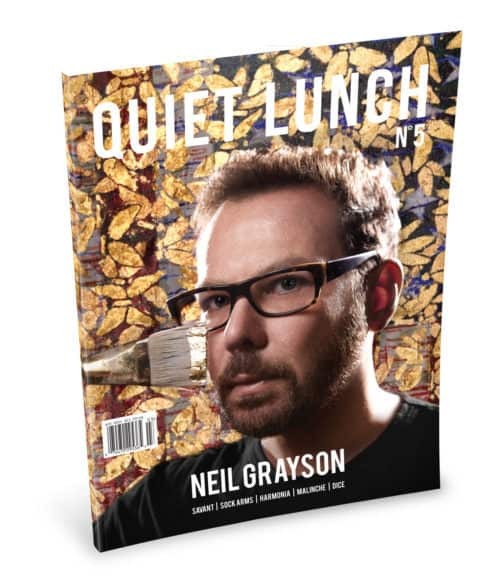 Private Life | | Quiet Lunch. When people talk about waning movie theater attendance, in my mind I attribute the phenomenon to a decline in the quality of the movies we’re being shown. To compensate for lazy storytelling, producers rely on showy effects and preexisting properties. 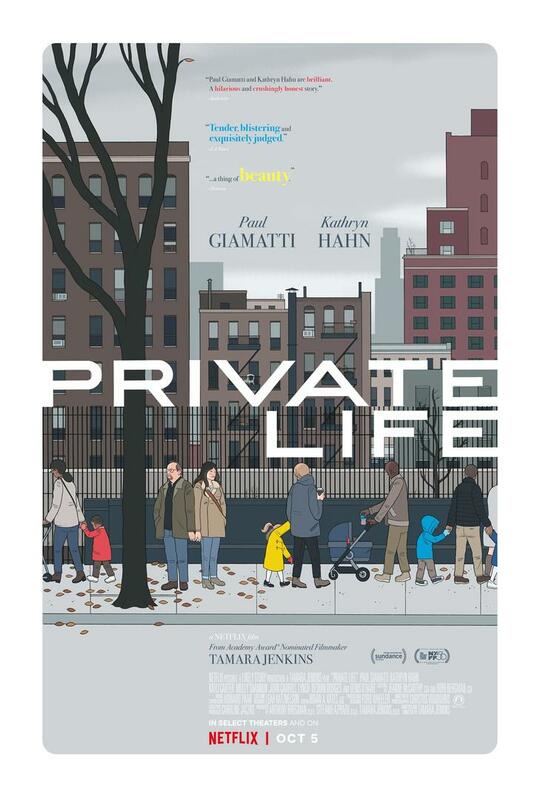 Ironic then that Private Life, which so beautifully breaks this mold, was not released in Theaters, but on Netflix. Private Life is the kind of movie that gives me hope for the future of the form. The story follows Richard (Paul Giamatti) and Rachel (Kathryn Hahn) a couple in their late forties struggling to have a child after years of focusing on their careers. Both have fertility issues, and so they try to play the system, by pursuing adoption at the same time as they each undergo procedure after procedure. The strength of the film is the stunning verisimilitude of the characters. They truly live and breath, and against the slice-of-life backdrop, it becomes easy to forget that the characters and the world they inhabit have been constructed. The chemistry between Hahn and Giamatti is profound. The decades these characters spent together before the film fades in are palpable. One memorable scene finds Richard and Rachel cleaning their apartment in anticipation of an adoption agent coming to interview them. Their mutual frustrations manifest itself in a quasi-argument that we can tell they’ve had a thousand times. What we end up with is a powerful meditation on aging and time. During their struggles to conceive, the couple’s step-niece, a not-quite college dropout named Sadie, lives with them for a while in their cramped lower east-side apartment. Whether it’s through juxtaposing different generations at Thanksgiving dinner, characters comparing their older bodies to younger ones, or character’s seeing photographs of their younger selves, no scene lets us forget the passage of time. The film is very much like Eighth Grade or Ladybird from the perspective of the grown-ups. It reminds us that after adolescence, life doesn’t end. Even as adults we have so much to learn about ourselves, the world, and our place in it. The film’s only drawback is that in many scenes, Sadie is less a character and more a caricature of a whiny twenty-something. Were the other characters not portrayed with such reality, Sadie’s shortcomings wouldn’t be so noticeable. This isn’t to knock actress Kayli Carter’s performance; she does an amazing job with the material. Sadie, as a young person, is meant to be naïve and unsure of her place in the world, but also unaware of what a gift it is to be young. All too often though, ignorance and social ineptitude are substituted for naiveté. The character’s struggles with early adulthood are played off as her being dramatic and over and over again she puts her foot in her mouth without ever realizing. Examples of this include our introduction to the character, in which she tries to explain the hard time she’s having in college and a poorly timed announcement at Thanksgiving dinner. At times, it feels as though the film itself resents her for her youth. Despite this, the film is one of the best I’ve seen in years. The performances are powerful, the images are beautiful, and the story is both heartbreaking and inspiring. The film is about how our relationships are not just what makes life worth living, but what helps us get through it. Private Life can be seen on Netflix. 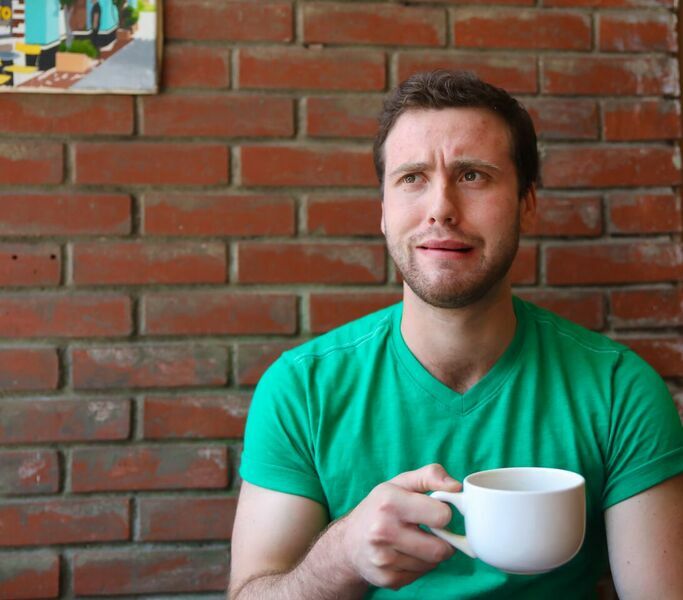 Eben Parker is a student at the University of Pittsburgh studying Writing and Film. He dreams of being employed after graduation in December 2018.